As part of our faculty’s ongoing commitment to establishing and strengthening relationships with surrounding communities, our Practicum placements represent a dependable, cost-free resource for partnering organizations. Student activities and projects may include quantitative and qualitative research, frontline work, group facilitation, media releases, program evaluation, policy development and review, outreach, fundraising, project design, mentorship and proposal writing. Our students also partake in observational and accompanying (shadowing) roles. Practicum students are carefully screened and must successfully complete an application form, personal statement, cover letter, resumé and interview with the Practicum office. Each student is prepared with a current vulnerable sector police check, health and safety and Workplace Hazardous Materials Information System (WHMIS) training, and is covered by a commercial general insurance policy and private workplace accident insurance policy. While on placement, Practicum students are governed by a Code of Conduct that outlines ethical and responsible conduct in the workplace. 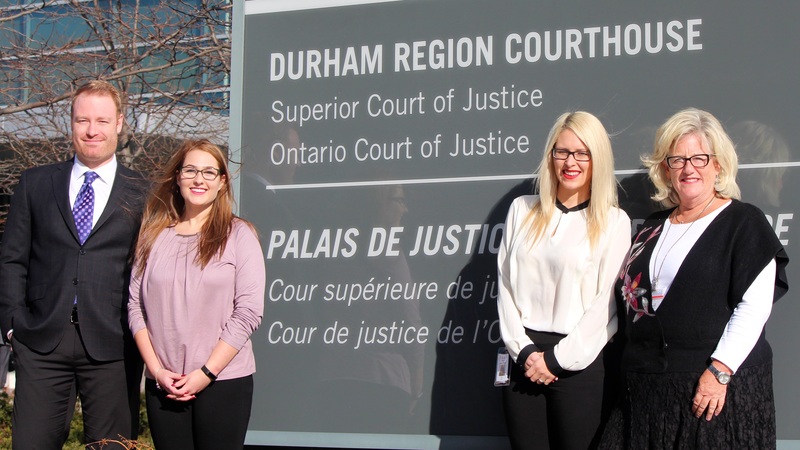 "The students bring new knowledge and perspective to our Durham Partner Assault Response (PAR) Program. Kudos to the Practicum program and to the university."